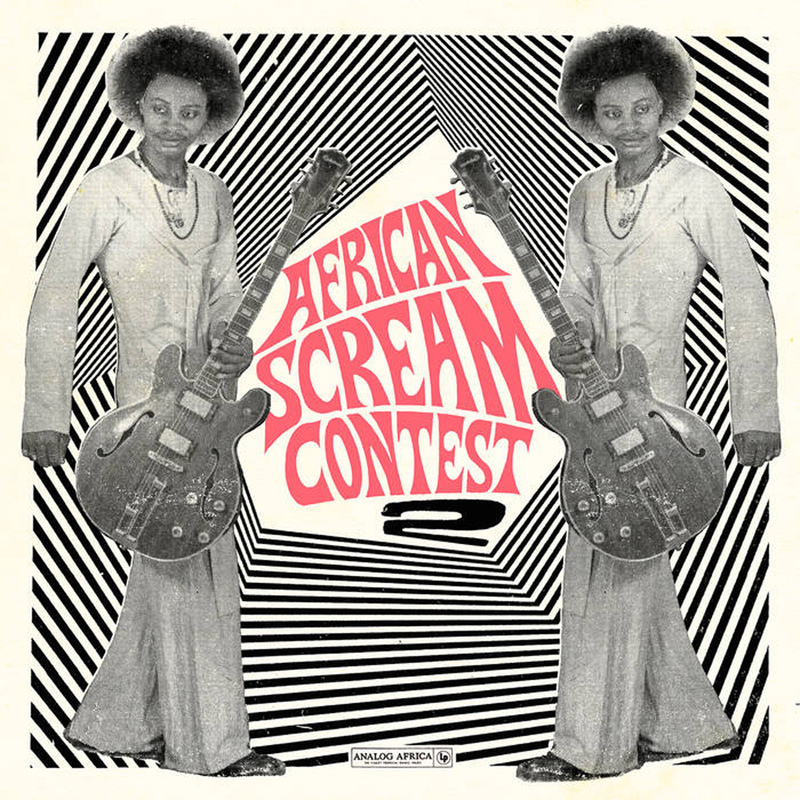 Brainwashed - "African Scream Contest Vol. 2: Benin 1963-1980"
Ten years ago, Analog Africa released the landmark African Scream Contest, an album that instantly established the fledgling label as one of the most intriguing and distinctive imprints in the global crate-digging milieu. It was not exactly a perfect album, but it was certainly a perfect and resounding statement of intent, plunging deep into an eclectic vein of forgotten African funk outside the celebrated regions documented by Soundway, Strut, and Ethiopiques. To celebrate that auspicious anniversary, Samy Ben Redjeb has released one hell of a sequel. Sadly, it will not make quite the same impact as its predecessor, as a new label can only burst onto the scene once, but African Scream Contest 2 is actually the superior album in many ways. Admittedly, some people will be disappointed that a bit of the weirdness and rough edges have been sanded away, which is a category that I would normally expect myself to fall into. Redjeb has gotten significantly better at his job over the last decade though and that definitely shows here, as this latest installment is pared down to a wall-to-wall feast of tight grooves and great hooks that never overstays its welcome. Sadly, I do not have the physical version of this album, so I am certain that I missing out on a characteristically improbable and colorful backstory. I do know, however, that Redjeb was able to track down all of these artists primarily because he enlisted the aid of Lokenon André from Les Volcans. Like Redjeb's beloved Orchestre Poly-Rythmo and a couple of other bands, André is a veteran from the first installment and makes a well-deserved return, as his "Glenon Ho Akue" boasts the most endearingly lurching, rolling, and wonderfully off-kilter groove on the entire album. Presumably, André and Les Volcans were able to pull off such rhythmic complexity because they were a "ruthlessly disciplined military band," which brings me to why Lokenon was the ideal person to track down all of the other artists for this collection: he had been trained by the KGB. Hopefully, the rest of the album’s participants have a less morally complex past, yet bizarre details like a Russian-trained Afrofunk mercenary are a large part of what sets Analog Africa compilations apart from everyone else: they are part labor of love, part myth-making, and they revel in all the weird details and amusing anecdotes behind the music. There is certainly scholarship and cultural anthropology happening here as well, but it is almost beside the point. Analog Africa compilations are first and foremost an awesome party thrown by someone with exquisite taste. Nobody in '70s Benin was stroking their beard and noting ambitious time signatures when these bands played–they were dancing and having a great time. Notably, the fabled Vodoun/ancestral Beninese rhythm element is not nearly as pervasive on this collection as I might have expected, though there are some notable exceptions. For example, Orchestre Poly-Rythmo’s "Moulon Devia" is essentially a straight-up four-on-the-floor disco thump and it is easily one of the album's most smoking grooves. While the mystical history of Benin and the resultant vibrant, unusual percussion are certainly recurring and important themes and make a good story, they are almost eclipsed by the less interesting fact that Benin was improbably teeming with bands that had incredibly tight and fluid rhythm sections. That is what truly stands out the most on the album. The scene also boasted some rather charismatic and "fashion-forward" characters as well. One such oversized personality collides beautifully with tradition and an absolutely killer band on one of the album's final songs, "How Much Love Naturally Cost," as Gnonnas Pedro delivers an amusing monologue over a rolling percussion vamp and an effortlessly infectious bass line. As far as I am concerned, Pedro and the bassist in His Dadjes Band are the breakout stars of the album, as that song is the one moment where an ensemble is truly firing on all cylinders at once and doing so gloriously. There are lot of other great moments strewn throughout the album, however, as it only takes one brilliant hook or performance to whip up one hell of a monster groove. That said, Stanislaw Tohon's "Dja Dja Dja" comes quite close to being yet another glimpse of sublime perfection, masterfully combining a wonderfully shuffling pulse with an stuttering and serpentine guitar motif and a stellar brass section. Elsewhere, El Rego Et Ses Commandos contribute yet another highlight with the soulful, sensual, and latin-tinged "Gangnidodo." It is worth noting that any great compilation that dives into an underdocumented era or region unavoidably becomes a deceptive bit of revisionist history, either retroactively creating a previously non-existent scene or selectively editing one that did exist so it fits the curator's taste. As such, African Scream Contest 2's 14 songs spanning an entire country's musical output over nearly two decades is far from a representative retrospective. In the right hands, however, such an endeavor can conjure up a truly wonderful illusion, which is exactly why Redjeb's handiwork is such a delight time and time again. This collection brings to light a hugely appealing alternate timeline to the American funk, disco, and soul golden age in which structure is a very fluid and organic thing, eclectic rhythmic adventurousness thrived, and everything sounded like it was recorded by Steve Albini rather than smothered in smooth production. Admittedly, there is a tendency towards freewheeling indulgence as well, but excursions like an extended, wandering organ solo are perfectly welcome if they occur over a suitably vibrant rhythmic backdrop (as nearly every Fela Kuti album illustrates beautifully). African Scream Contest 2 is a sweaty, quirky, fun, and effortlessly sensual album. 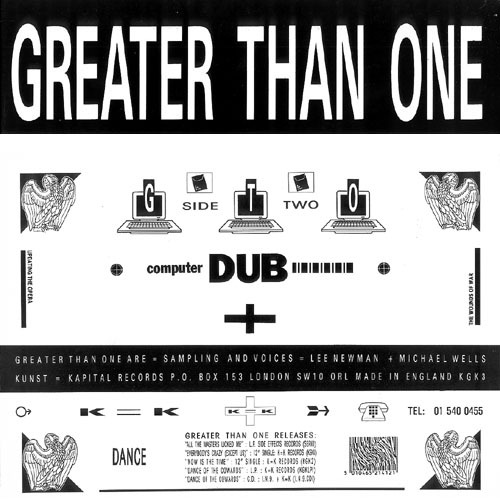 I suppose that can be said about nearly every Analog Africa compilation to some degree, but the unusually high hit-to-miss ratio of this one makes it one of the best.